GreenBoxTM is a fully welded heat exchanger, made of square corrugated plates welded together, forming the heart of the heat exchanger. There is no gasket between the plates; the waterproofness is done by a weld. Only the removable side panels have gaskets for external sealing. The heart of the heat exchanger GreenBox is accessible for inspection or cleaning by simply removing the 4 side panels. 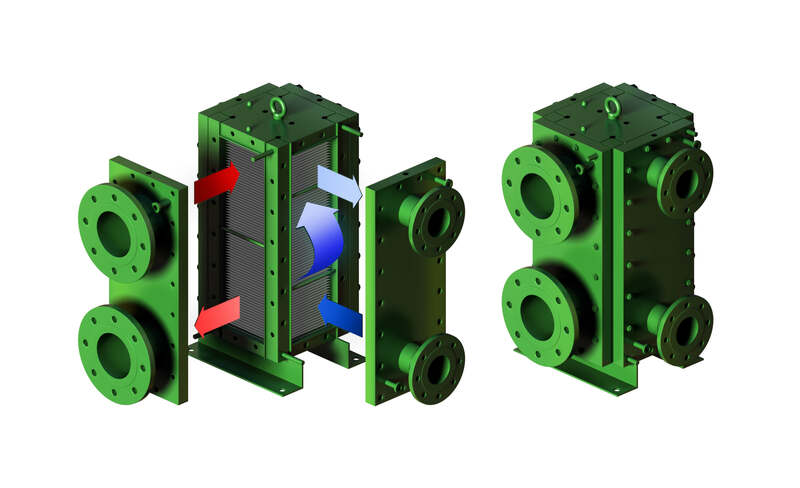 The patented soft corners design, (the heart / panels assembly of the GreenBox), makes this heat exchanger the most robust of its category and is the ideal solution for operation in tough process duties with high pressures and temperatures. Greenbox is a concentrate of thermal efficiency as heat recovery interchanger, condenser, reboiler or evaporator, and can be used in fouling duties. High turbulent flow induced by the corrugated plates of GreenBox makes it about 5 times more thermally efficient than a traditional shell & tube heat exchanger. It also allows a temperature approach of 2°C. A better heat transfer coefficient means also compact size of Greenbox and this can also reduce significantly installation, operation and maintenance costs. 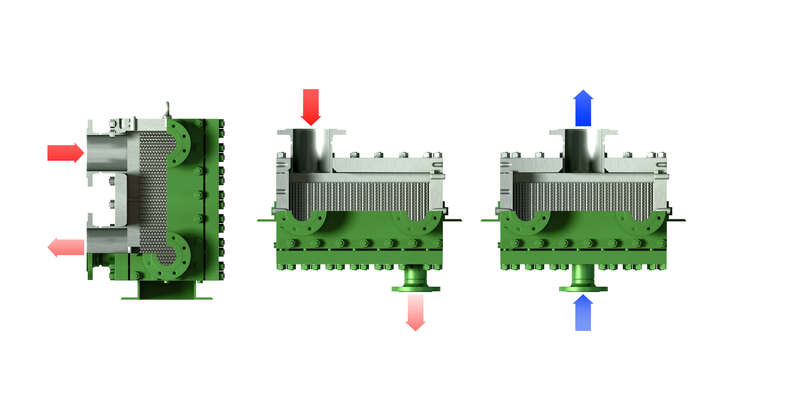 Ingenious corner’s design brings mechanical reliability to the GreenBox heat exchanger. The GreenBox works in simple or multi-pass and, if needed, the access to the plates for inspections and cleaning is given by simply removing the side panels. Nexson GreenBox is used for a design pressure from full vacuum to 50 barg, from -50°C design temperature to 450°C.